Dice the sardines. Then beat eggs in bowl and set aside. When it is half done, add in the filling and make a big omelette. Fold it and make it tight. 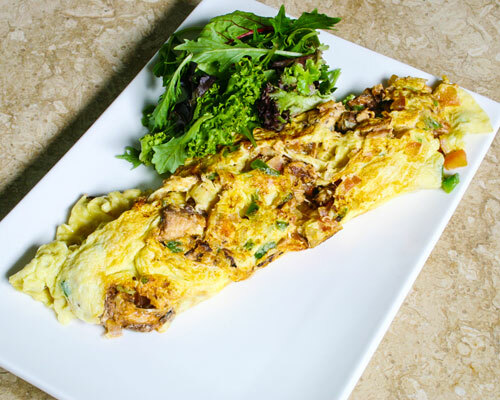 Omelette can be put on plate serve for breakfast or accompanied by a side salad or chips or jacket potato, for a substantial lunch or a light evening meal. Comments: This delicious recipe contains high quality proteins derived from egg & is also rich in calcium, selenium & phosphorus. This energy sustaining food is packed with B vitamins that help cells burn fats and glucose for energy & also promotes healthy nervous system. The high saturated fat & cholesterol content can be reduced by substituing whole eggs with egg whites.